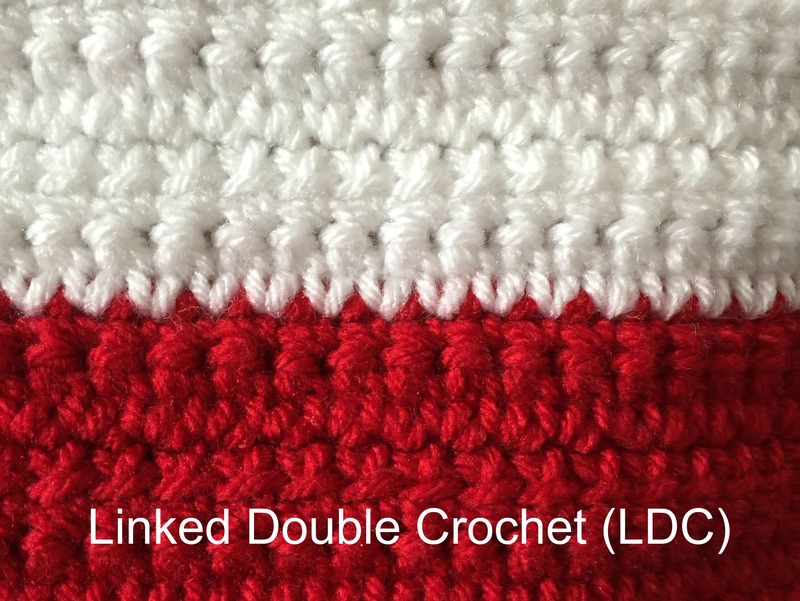 The linked double crochet is a double crochet stitch that links to the previous double crochet. 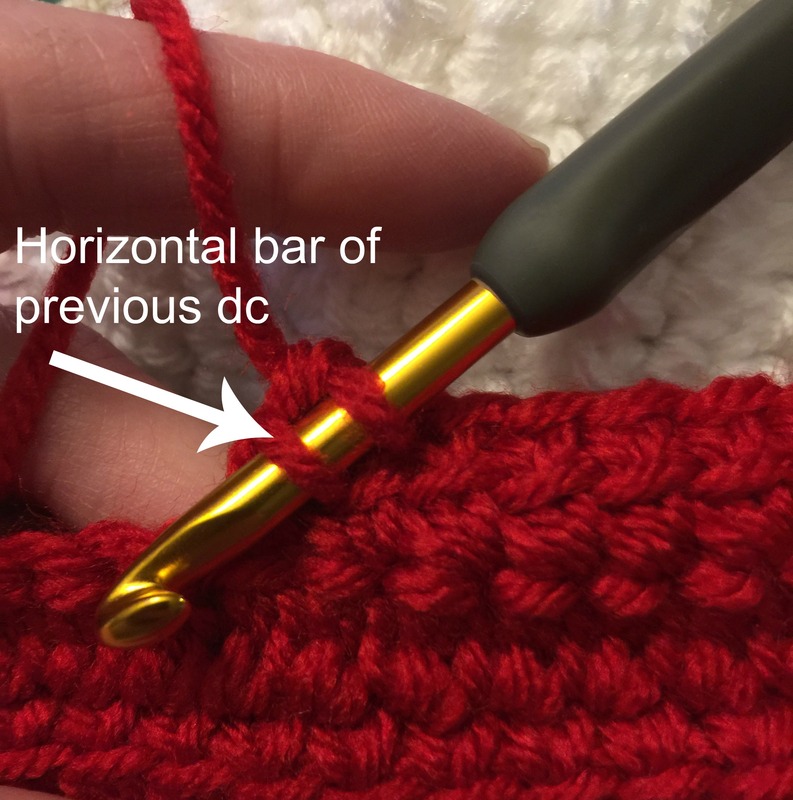 The result is a more closed appearance than the regular double crochet gives. 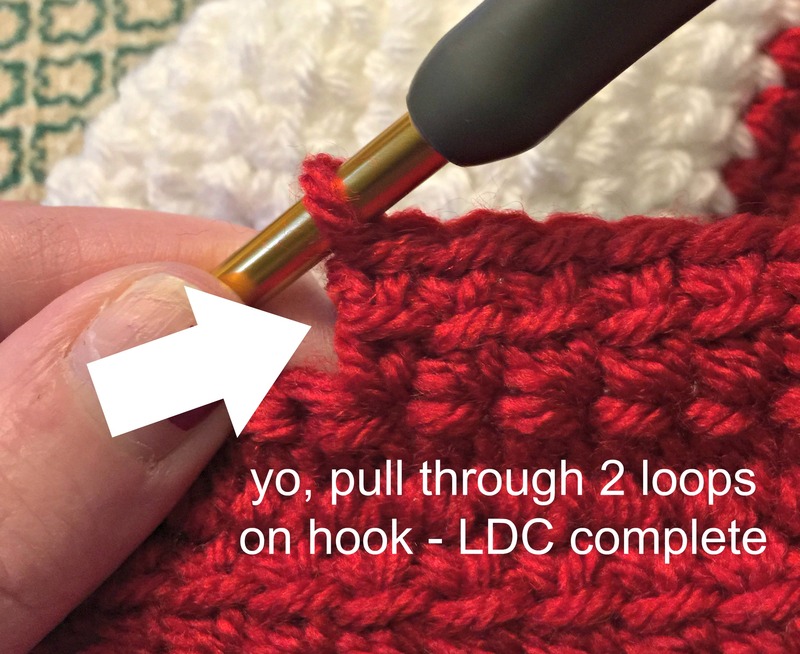 Here are the 6 easy steps to making the linked double crochet (ldc) and an example of the perfect pattern to use it on. 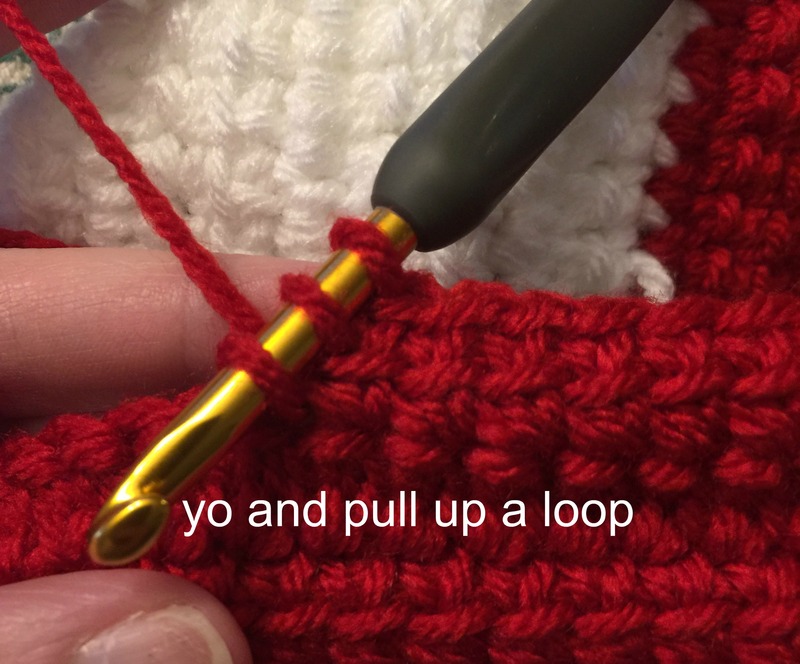 Step 2: Yarn over (yo) and pull up a loop (2 loops on hook). 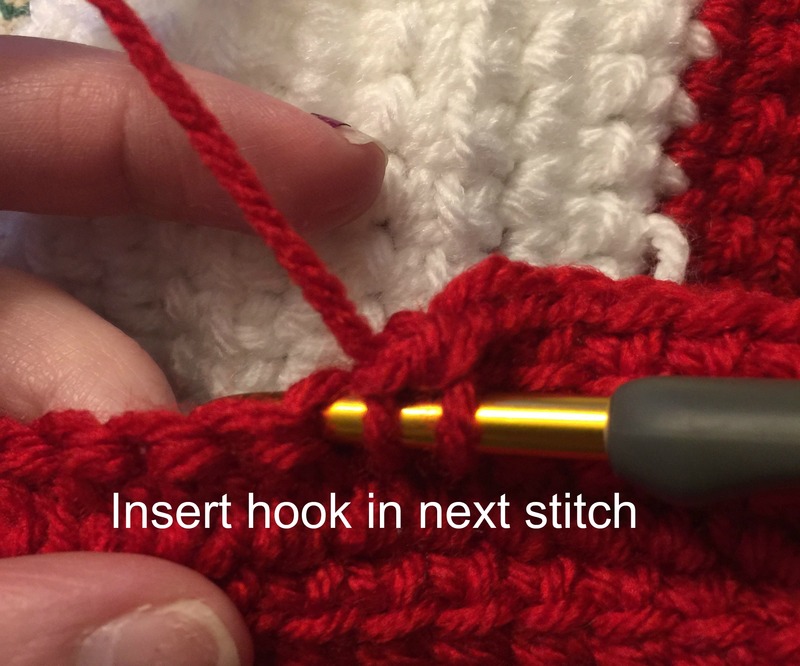 Step 3: Insert hook in the next stitch of your previous row (the row you should be working stitches into). 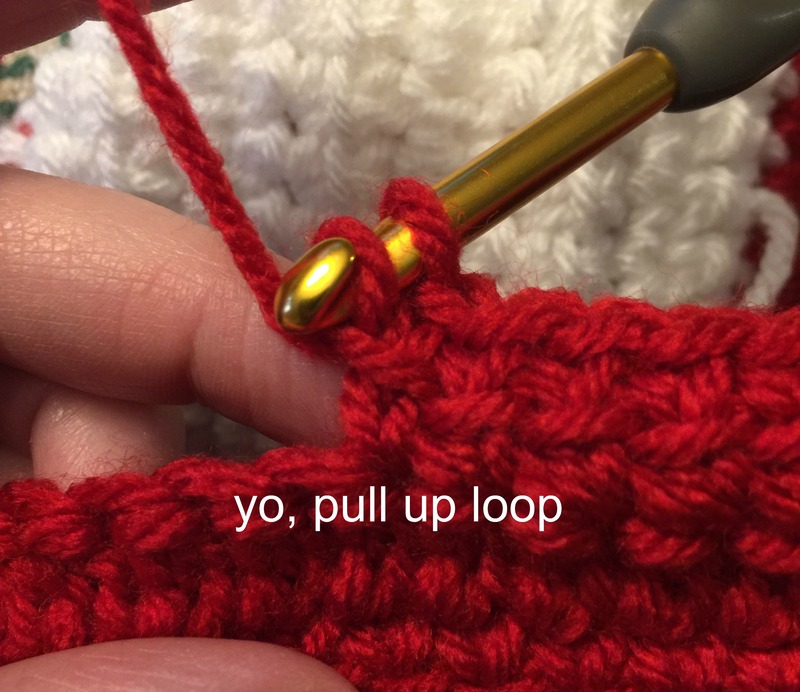 Step 6: Yo and pull through remaining 2 loops on hook. The Linked Double Crochet (LDC) is now complete. 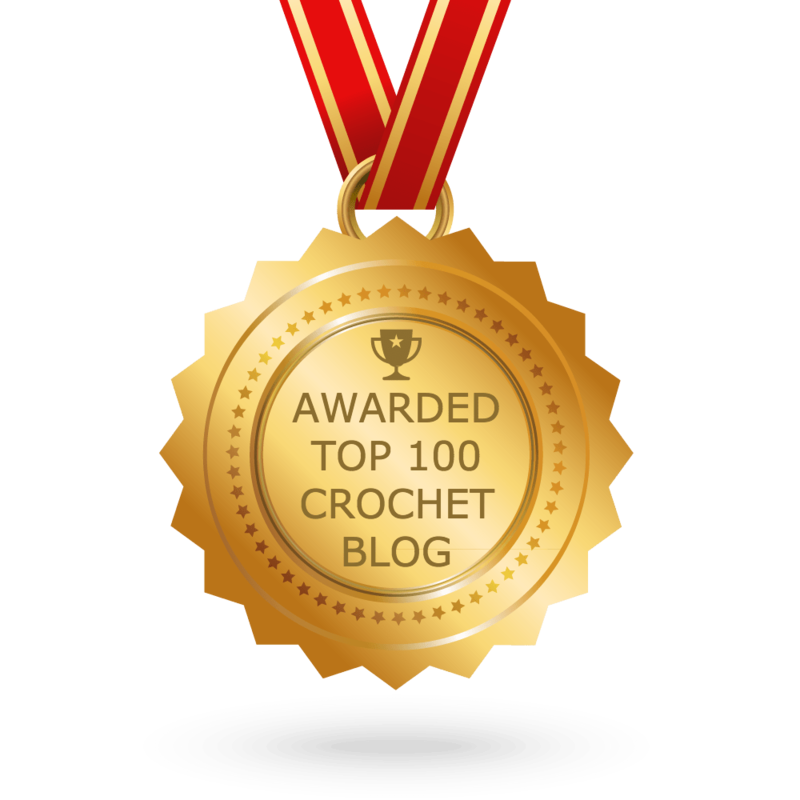 The finished product is a fully closed set of stitches that will resemble a solid fabric without the bulk of tight stitches. I am currently working on the American Flag pattern and I can’t figure out how to do the ldc in the starting chain. Can you possibly explain it to me? Sheila, there is a photo tutorial in the pattern pdf. But the easiest way to explain it is that the first part of the link you insert the hook into the beg chain and pull up a loop. Then you finish the ldc instructions by pulling up a loop in the next st (or chain) of the row. Feel free to email me if you need more help. Kristine, I’m a little confused on this stitch also, when starting with a chain. 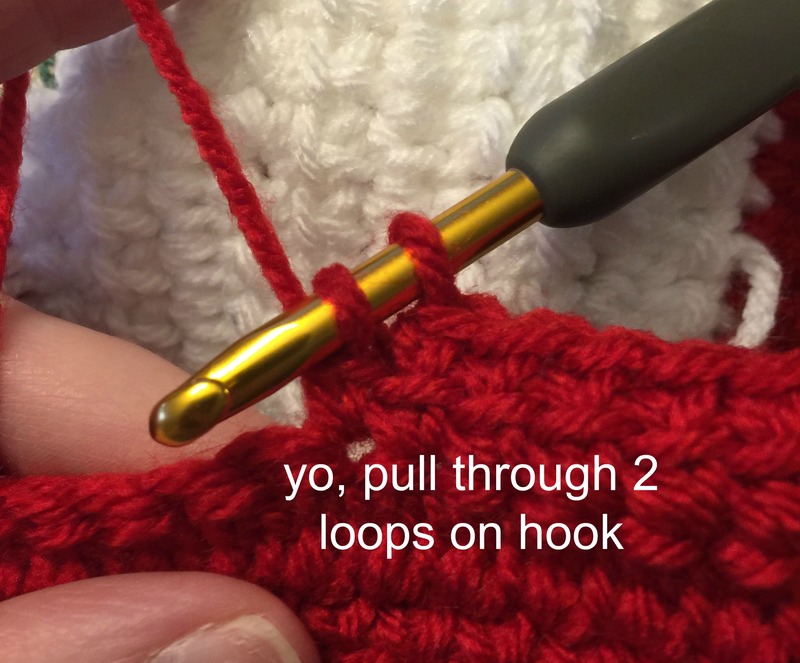 I understand putting the needle in second chain from hook, and pulling a loop, where exactly do I insert the hook after this, would it be the 3rd chain from hook, or in the same 2nd chain from hook.? If you’re working with a beg ch it’s the 2nd & 3rd chains from the hook.